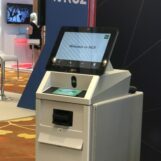 The inaugural Singapore FinTech Festival kicked off today with a series of events that aim to portray the future of a financial industry transformed by innovation and technology. 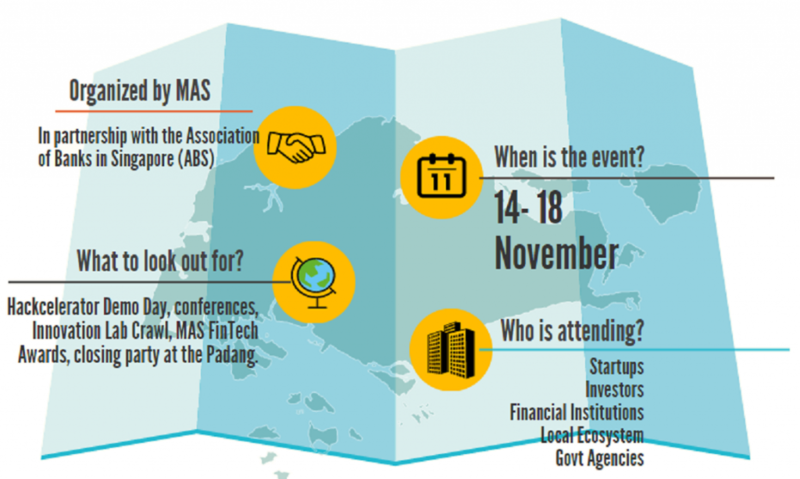 The week-long Festival is organised by the Monetary Authority of Singapore (MAS), in partnership with The Association of Banks in Singapore (ABS), and aims to connect the global FinTech community. The Festival is supported by various sponsors and partners which are key players in the FinTech ecosystem in Singapore and globally. 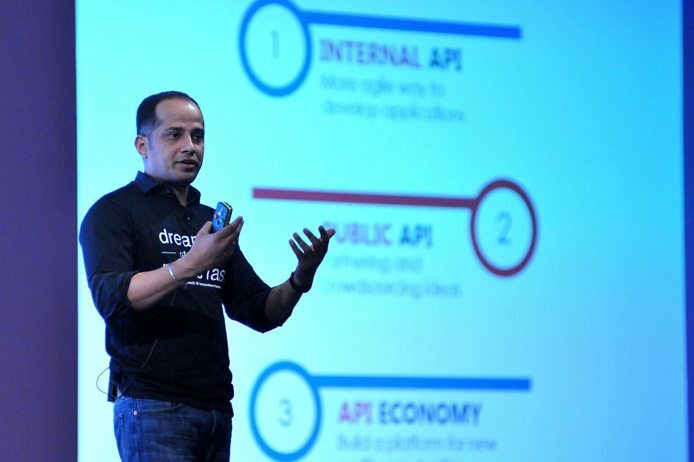 Close to 11,000 participants from more than 50 countries have registered for the various events, comprising conferences on FinTech, Tech Risk, and RegTech; the Global FinTech Hackcelerator; the FinTech Awards; visits to innovation labs; as well as community and networking events. The Festival begins today with the island-wide Innovation Lab Crawl, where more than 20 innovation labs across Singapore will demonstrate their solutions and offer visitors a glimpse into the future of finance. 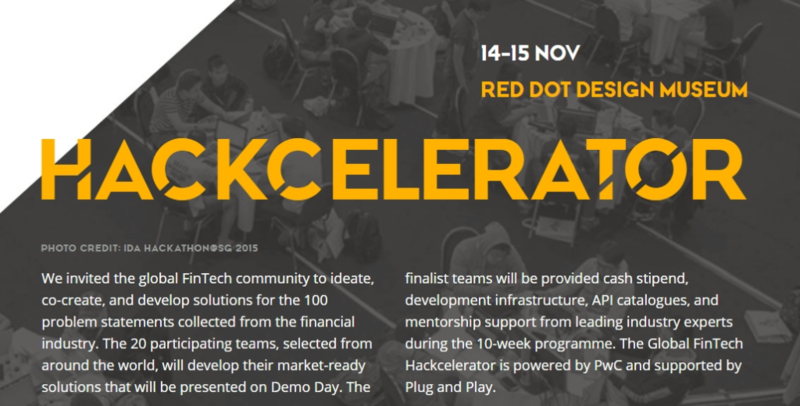 The Hackcelerator Demo Day on 15 November will be a showcase of market-ready FinTech solutions, developed by 20 teams selected from amongst more than 650 global submissions, to solve specific problem statements solicited from the financial industry. 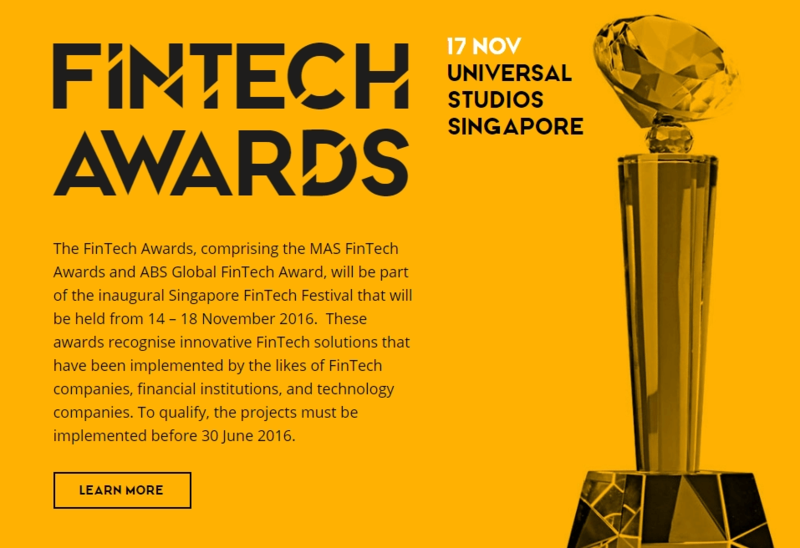 The FinTech Awards on 17 November will recognise innovative FinTech solutions that have been implemented by FinTech companies, financial institutions, and technology companies.